Vitamins should no longer be considered important only in preventing symptoms of deficiency, but also for optimising flock health. Article by Alfred Blanch, Spain. 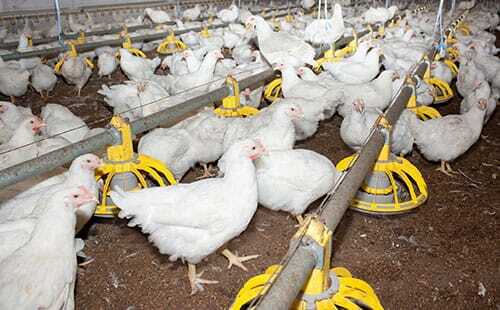 Vitamins are among those dietary additives which have an obvious effect on intestinal health in birds. Although the aim of vitamin supplementation of feeds for use in intensive poultry production is to supply the requirements of the birds in order to increase productive efficiency, vitamins should no longer be considered important only in preventing symptoms of deficiency, but also for optimising flock health, including intestinal health. The role that vitamin supplementation in poultry diets plays in maintaining bird metabolism and health status has been the subject of much research over many years, and is well-known to poultry nutritionists and vets. Nervous disorders, various types of anaemia, alterations in protein metabolism, dermatitis, rickets and haemorrhages are among the complaints suffered by birds with some kind of dietary vitamin deficiency. However, in addition to these diseases which are clearly derived from a lack of vitamins, it has been observed that levels of exogenous vitamins in the diet also affect the balance of intestinal microflora and therefore impact directly on the intestinal health of the bird. Luo et al. (2013) observed that bacterial diversity is significantly reduced in the intestines of broilers fed on diets containing low levels of vitamins. They also demonstrated that vitamin supplementation of the diet is essential for the development of beneficial bacterial populations in the intestine. It is now a well-known fact that diversity of the intestinal microflora plays a crucial part in the development of a bird's defences and in the prevention of intestinal infections. So certain vitamin deficiencies in poultry diets could be involved in the pathogenesis of a variety of gastrointestinal problems. 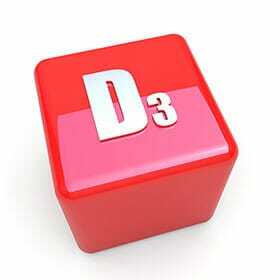 Vitamin D3 is another example of the importance of vitamins in the prevention of intestinal infections and inflammation. Recent studies (Lu et al., 2015) have shown that active vitamin D3 (1,25 (OH)2D3) is a potent initiator of intestinal β-defensin synthesis in chickens exposed to Escherichia coli antigens, as well as regulating calcium homoeostasis. β-defensin is an antimicrobial peptide produced by mucosal epithelial cells. It is important to point out that antimicrobial peptides, or host defense peptides (HDPs), constitute one of the intestinal immune system's most important weapons in birds and mammals, playing a crucial role in controlling infectious and inflammatory symptoms in the digestive tract. Staying within the context of intestinal infections, levels of certain vitamins in poultry diets can also affect the prevention and development of avian coccidiosis. Pérez-Carbajal et al. (2010) studied the effect of vitamin E levels in the diet on the response to coccidiosis vaccination in broilers which, after vaccination, were infected with a mixture of different Eimeria species (Eimeria acervulina, Eimeria maxima, and Eimeria tenella). It may be concluded from the results of this research that higher levels of dietary vitamin E than are usually recommended can be complementary to the innate and humoral immune response to an Eimeria challenge, potentially increasing vaccine efficacy and response to infections in the field. More recently, Wunderlich et al. (2014) have noted that vitamins E and A in the diet protect against the oxidative stress and intestinal lesions produced in birds infected with Eimeria. As a result of this action by vitamins E and A after coccidiosis vaccination, some problems arising from the vaccination itself, such as the development of necrotic enteritis symptoms, will be avoided. Undoubtedly, in the near future, better understanding of the use of certain dietary additives, such as vitamins, in feedstuffs will play a greater role in preventing and tackling intestinal conditions in birds. This article originally appeared in the March 2016 'Feeding and Nutrition' issue of ThePoultrySite Digital. To read more articles in the issue and sign up to receive the next one by email, click here.